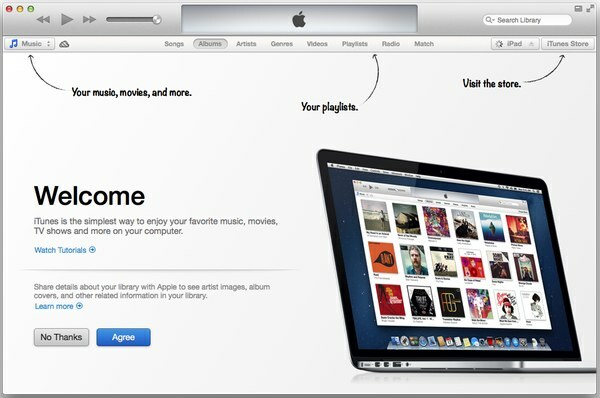 “With a dramatically simplified player, a completely redesigned Store and iCloud features,” Apple expects that you will love iTunes 11. That might be excessive optimism — perhaps folks will hate it less? Whatever the case, the new version of iTunes is here and there is much to be hopeful about. •Completely Redesigned — iTunes makes it more fun to explore and enjoy your music, movies, and TV shows. You’ll love the beautiful edge-to-edge design, custom designs for each album, movie, or TV show in your library, and getting personal recommendations any time you click In the Store. •New Store — iTunes Store has been completely redesigned and now features a clean look that makes it simpler than ever to see what’s hot and discover new favorites. •Play purchases from iCloud — Your music, movie, and TV show purchases in iCloud now appear inside your library. Just sign-in with your Apple ID to see them. Double-click to play them directly from iCloud or download a copy you can sync to a device or play while offline. •Up Next — It’s now simple to see which songs are playing next, all from a single place. Just click the Up Next icon in the center display and they’ll instantly appear. You can even reorder, add, or skip songs whenever you like. •New MiniPlayer — You can now do a whole lot more with a lot less space. In addition to showing what’s playing, MiniPlayer now includes album art, adds Up Next, and makes it easy to search for something new to play—all from a smaller and more elegant design. •Improved search — It’s never been easier to find what you’re looking for in iTunes. Just type in the search field and you’ll instantly see results from across your entire library. Select any result and iTunes takes you right to it. •Playback syncing — iCloud now remembers your place in a movie or TV show for you. Whenever you play the same movie or episode from your iPhone, iPad, iPod touch, or Apple TV, it will continue right where you left off. As soon as iTunes 11 relaunches after the update, Apple asks if you’d like to “Share details about your library with Apple to see artist images, albums covers and other related information in your library.” Not knowing what that gobbledygook means, I clicked through to Apple’s explanation (boosts album art, provides artist pics + info, etc.) and that lead me to click agree. Apple intimates that iTunes 11 includes significant security fixes, but as of this writing hasn’t posted a listing of what has been changed and/or fixed — info that will eventually be posted here iTunes security content.